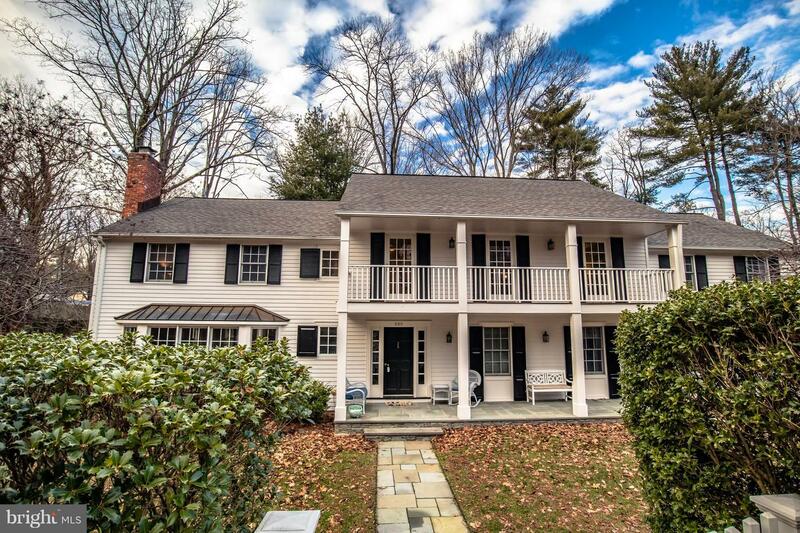 This luxury Riverside retreat captures an always-changing panorama of Carnegie Lake: a Great Blue Heron perched in a majestic tree, Princeton crew besting yesterday's time, an immature eagle searching for fish. Renovated by noted local architect, Max Hayden, this splendid home sings with natural light, hardwood floors, and views for days. A cathedral entry gallery opens to a stunning kitchen and dining room, where French doors lead to the deck and its lake vista. Custom cherry cabinets, slate fireplace, and a granite island contrast warmly with top-line stainless appliances that include a 6-burner Dacor range. A 2nd fireplace and a bay window encourage lingering in the vaulted living room. 2 bedroom suites on this floor include the serene master, with spectacular sweeping lake views and a limestone bath. The flexible lower level is no less compelling; a fireside family room opens to a covered patio, 2 view-filled bedrooms, an exercise room, and granite-trimmed bath. Ample storage is found in an equipment room with lakeside access and 2-car garage. Entwining Elegance and Nature in Riverside, Princeton, New Jersey 08540 United States is a Single Family Home. This Single Family Home has 4 bedrooms,3 FullBaths, 1 Partial Baths, and is available for $2,195,000.